Who was the people behind ? 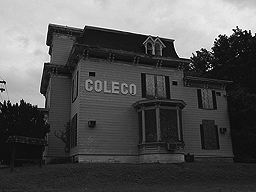 Coleco stands for: COnnecticut LEather COmpany. The Company was founded in 1932 by an immigrant Russian Shoemaker, Maurice Greenberg, in New York, USA. Greenberg's first son Leonard was fascinated by manufacturing, and he made his own factory in the back of his father's shop. Leonard designed and built a plastic molding machine, and in the 1960s he sold the leather business and began producing wading pools. After some successful years in the pool industry, Greenberg sold the entire pool manufacturing business to Lomart. Lomart was a big player in the market, and was owned by Doughboy. After the sale, the pool business then became half Coleco and half Doughboy. Those swimmingpools outcompete in the 60's he's fathers leathercompany. Greenberg’s second son, Arnold, began looking for investments and turned to items such as dolls and tabletop hockey games. Arnold began his career in law, but in 1966 he joined his father and brother. The business had great sales in the 1960’s, but their fortunes declined in the 1970’s and the business nearly went bankrupt in 1978. Colecovision.dk knows that Coleco Inc. made many toys including The E.T. Power Cycle, but we will try to concentrate on Coleco’s video game consoles and electronics. In 1972, Nolan Bushnell formed Atari and created a videogame named "Pong". It was a huge success and came at the right time. Ralph Baer (Magnavox) had also been working on an idea for a home game console since the 1960's. Coleco decided to bring out their own home version of Pong, but the development was a bit too slow. In 1975 Coleco began producing their own home Pong console called the "Telstar", and sold it for less than the Atari version. Riding the success of the first Telstar, Coleco designed and produced 9 additional Telstar products for release in December 1977. Coleco had difficulties with the Telstar due to a conflict with FCC rule # 15. Ralph Baer informed Coleco that if they would sign a Licensing Agreement with Magnavox, he would help their team with the production line difficulties they were experiencing. A Shortage of chips from Asia and an East Coast dock strike meant that the games didn't make it to retailers. In addition, the market was changing and Coleco hadn't changed with it. In 1978, the company lost $ 22.3 million and ended up scrapping over a million Telstar units. The Telstar was almost responsible for causing Coleco to go bankrupt in 1980 after interest in Pong-based consoles died out at the end of the 1970's. But once again, Coleco managed to rise from the ashes. In 1980 and 1981 Coleco began conducting market research to see if it would be possible to create a new game console that could beat Atari and Mattel in the home video game console market. Coleco also started producing a number of small electronic table top toys. Former Bit corporation of Hong Kong and Coleco Industries USA agreed to a huge deal. Coleco and the Hong Kong based company designed and promoted several sketches, and also Texas Instruments and a Chicaco based company was involved in the process. And finally in the middle of 1982 Coleco was proud to present their new "baby" called: ColecoVision which would sell for a Street price of : $175. Different Coleco related products were produced in several places in the world. E.g. USA, Canada, England, Ireland (ADAM), Taiwan and Hong Kong. Yamauchi demanded to Coleco within 24 hours to pay $ 200.000,- and $ 2,- for each sold game in royality. Bromley called home and Greenberg said: "If the game really is that good as you say, then let us go for it". The money was transferred in the last minute, and the contract was in the house right in front of Atari. It must be said to be fortunate for Coleco. The Colecovision would be packaged with the extremely popular arcade game “Donkey Kong” and was released in December 1982. And just 4 months later, Coleco had already sold 500,000 units. In 1983, sales quickly passed 1,000,000 units, a huge number for the time. Total sales of the ColecoVision in 1984 are uncertain, but would ultimately be in excess of 2 million units. The company would also go on to sell more than 6 million ColecoVisions in just three years. Coleco Inc. and CBS Electronics would sell 8 million games in just two years through various dealers worldwide. You can still find brand new sealed Colecovision games today. Quite impressive! In the beginning, Coleco would not allow third party games. They would only sell those games that they themselves had produced and and negotiated through various companies like (Nuvatec, 4D systems, GMA and others). It was expensive for Coleco Industries to do it that way. Therefore, in 1983 Coleco decided to allow third party games for the ColecoVision system, and many companies had been looking forward to this day. One of them was a man named Mike Livesay, because he had initially been rejected by Coleco via Micro Fun. Livesay wanted to produce Miner 2049'er for the ColecoVision system when it was released in 1982. In 1983, Livesay received the okay from Micro Fun and four months later Miner 2049'er was a reality for the ColecoVision. Livesay also had enough room left over to throw in an "extra impossible to get to" 11th level. Livesay was the first third party developer for the Coleco, "actually, we were the only good one for a long time" he would say. Coleco released an Atari module that could play Atari 2600 games on the ColecoVision. Atari was furious and sued Coleco, but they had forgotten to patent their system and Coleco countersued Atari. But, as with all successful products, the market quickly heated up and the competition came on strong! Coleco used product placement to advertise in movies, and there is a scene from the movie Firestarter where a very young Drew Barrymore plays Slither with the Rollerball Module. (Roller Controller). However, Coleco had cut some corners on the ColecoVision. Their video chip and RAM were inferior. Moreover, they had problems with flickering when several simulated sprites passed each other on the same scanline. This “Super Expansion Module” would resolve the technical shortcomings, and would have the potential for high scores to be saved. The possibilities were limitless! But as had happened earlier, Coleco ran into trouble. The Problem this time was a so-called intern Wafer Module, which should load the game on tape in a loop. However, if you missed a bit, you would have to wait until the tape had finished before you could start over again. They also found out that in their prototypes, the tape could stretch and thereby change the frequency range, which would cause the it to fail completly. Because of these problems, Coleco decided to drop the Super Game Module. Coleco then announced that they would be coming out with a $200 module that would turn the ColecoVision into a fully-fledged Computer. Coleco believed it would be comparable to Atari 400, Texas 99/4A, or even the Commodore 64. But once again they ran into problems. Although the promised computer module and peripherals were eventually developed and advertised under the name “ADAM”, Coleco would be unable to deliver on all of their promises. Christmas 1983 came and went, but the ADAM didn't make it to stores. Other new small computers were already on the market. Coleco Industries had many problems with the ADAM. They had been produced too quickly, and were filled with faulty hardware straight from the factory. Not only that, it cost Coleco huge amounts of money to repair the defective hardware. Many users also found out that if you left a tape in the vicinity of the Memory Module when the computer was turned on, it could in extreme cases destroy all of the data on the tape. The ADAM computer had another strange feature, namely that it had opted to place the power supply inside the printer, which meant that they were inseparable. Many users also thought that Adam was clumsy, and used up too much desk space. The video gaming industry had also been experiencing it's first major growing pains when it came to cartridges. Why pay so much for a cartridge when you could pirate a copy of a tape for free? In August 1982, at the same time the ColecoVision was being sold, the Commodore 64 was released to the public. It found initial success and was marketed and priced aggressively. It had a BASIC programming environment and advanced graphic and sound capabilities for its time, similar to the ColecoVision console. The Commodore 64 was simple and easy to use, and required a fraction of desk space compared to the ADAM. With sales of 17 million units, it has to be said the C64 was an extraordinarily success for Commodore. The C64 was the most popular home computer in its day in the U.S., as well as in many other countries including Denmark and Germany. Indeed, it was the best-selling single computer model of all time internationally. At around the same time, the ZX Spectrum was released in the UK and quickly became one of the most popular home computer in most of Western Europe. After years of success, the game industry declined due primarily to overinflated ambitions. Coleco was never able to recover from the lost sales, and in 1984 they withdrew the ADAM from the market and ended their brief foray into the home computer market. Losses were recorded at $80 million. Still hurting from the financial hit, Coleco turned it's attentions back to the toy market. And once again, Coleco managed to come up with the right idea at the right time. In 1983, Coleco bought the rights and got the license to produce Xavier Roberts dolls, "Little People". Parents stood in long lines outside the store, trying to get one of the dolls for their child's Christmas present, and it was all freaking crazy!. Once again, Coleco was unable to keep up with demand. They produced 2.5 million dolls in 1983 but even that wasn’t enough. They would later ramp up production, and in 1984 alone 20 million dolls were bought. Coleco went on to record sales of $600 million in 1985. In 1986 sales of Cabbage Patch dolls fell, and Coleco lost $111 million. Hasbro took over OAA Inc. from Coleco, and by 1999 95 million of the dolls had been sold worldwide. Alf was a funny little Alien-doll, who could tell stories via a build in cassette-player. However, In 1987 the company had lost another $105 million. In 1988, Coleco was forced to declare bankruptcy. In June 1989 Coleco lost its battle to stay in business. Strapped for working capital and unable to pay its debts, Coleco Industries Inc. of West Hartford, Conn., filed in U.S. Bankruptcy Court for protection from its creditors and sold its assets to Hasbro, Inc.
Hasbro Inc. announced that they would buy Coleco for $85 million in cash. E-coleco bought up a lot of their hardware, especially ColecoVision and ADAM hardware and accessories. They were particularly interested in Memory Expansion Cards, Printer Interface Cards, and Floppy Disk Drives. TeleGames was most interested in the games themselves, and bought virtually all the remaining game stock. They also got to license, produce, and publish those games that had been unreleased and unsold because of Coleco's Bankruptcy. Palan Electronics also had plans, and they would sell the ColecoVision game console once again for 50 €. They also bought out all of the old Imagic and Activision games for rerelease, but now with a mysterious white label. Many stores around the world now had plenty of great games that suddenly could not be sold. This including Sunrise in Europe, who had hundreds of games which were now collecting dust. In the end, the company that made it all possible was not able to handle its own success, and is now a name only in history. 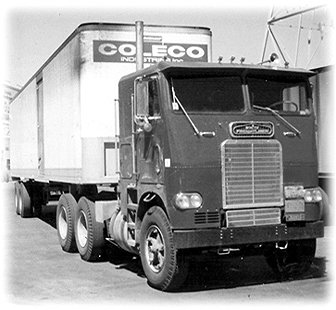 Coleco ended up with debts of $540.3 million, and 2,500 workers lost their jobs. 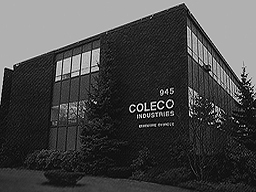 Shortly after, Coleco sold all of its assets in North America, Closed its factories in Amsterdam, New York, and other cities. They would never return to the videogame market. The name ColecoVision actually still exists, but it is a shadow of its former self. Cause of bankruptcy: Chapter 11: not liable. "Made bad investment decisions after the success of the Cabbage Patch doll." "The local people were angry over the performance of Coleco, which came to Amsterdam in 1968." "The company boomed in 1983 with the Cabbage Patch doll, only to face bankruptcy in 1988 with the ill-fated production of the Adam Computer." 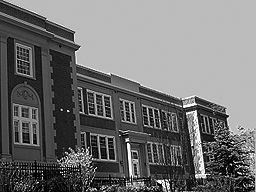 They also had a large facility in Canada at 4000, St. Ambroise street, Montreal, Quebec. "Coleco manufactured toys and pong-like consoles there. They employed 800 people and closed their doors in 1987." The Brands "Coleco", "ColecoVision", "Head 2 Head" and "Zaxxon" are now owned by: River West Brands. They brand is still owned in the U.S., but has nothing to do with the former Coleco Inc., ColecoVision, nor even the ColecoVision games. RWB makes electronic games based on Sega, and uses the familiar Coleco name for marketing. They are sometimes willing to give permission to use the Coleco name to people who want to revive its former glory. And that's exactly what Eduardo Mello at OpCode Games does, he now has the right to use the name "Coleco" for his new Module. The Module called: SGM is an expansion for ColecoVision released in 2012/15 to use for more complex games. After the U.S. game crash in the mid-80s, was it Nintendo’s 8-bit NES who took over where Coleco left off? From 1985 until 1995, (2003 for Japan), they sold around 62 million Nintendo Entertainment Systems worldwide. Another interesting but less successful console was the Atari 7800. The crowded market for games had declined in the United States and Europe, but certainly not in Japan. Coleco Industries was for people in America what LEGO is for the Danes. LEGO lives yet, the same does Coleco... -in our hearts. Who was the people behind it all in 1982 ?. And, -is Coleco and ColecoVision still alive ?. Last updated: November 11, 2015. by: Clinton Donaldson, Bradenton, Florida. Coleco Boxes for some of their ColecoVision Games. 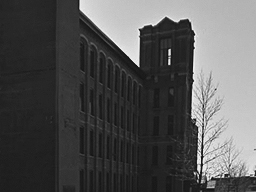 The former building in Terre Haute, Indiana was the place where Coleco get their Coleco boxes printed. The factory name was Ivy Hill Corporation, and it was located in 4141 3rd Parkway. The building was 22.000 m² and was positioned on 5.000 hectare. There was Rail access and a 250+ spot fenced in parking area are available. 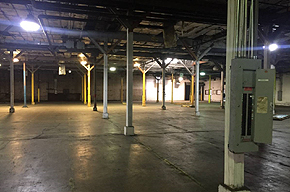 The building features 3 (3.000) amp feeds, 480 V. 3 Phase power, heat, and air conditioning. It had 1 dock with leveler; 3 additional dock areas with outdoor platform - room for many dock positions; and 6 drive-in doors. So it was i big place in the past, the place is closed and has been it since 2009. Up to 150 workers were employed. Multi Packaging Solutions is now the owner. Updates will continuously be corrected.